FIRST AID is the application of limited care for an illness or injury,using the equipment of the First Aid Kit until professional medical help can be accessed. 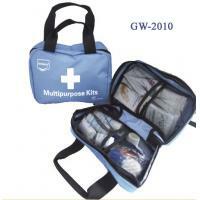 Almost everyone will need to use a First Aid Kit at one point.Be prepared to prevent further injury and save a life. This leaflet contains advices on basic first aid for untrained people,you shoule not give more than this basic procedures if you are not trained.